Genre is capable. And they called it our home. In my undergraduate days at a small college in Iowa, I subscribed to the American Poetry Review, edited by the excellent poet Stephen Berg. 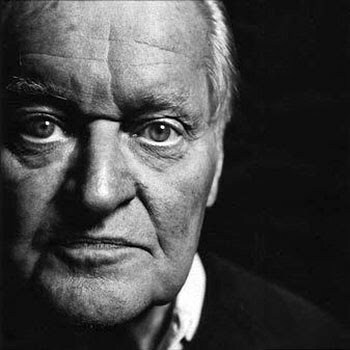 A cover story about John Ashbery was what first pulled me into his poetry of disintegrated syntax, the always morphing and unlocatable "I" of his verse, and the so called New York school of poets and painters, principally Larry Rivers and Frank O'Hara. Seldom owning a clue what Ashbery was getting at, but delighted nonetheless with the process, I distressed my roommate at the time with uninvited readings of selections from Houseboat Days and Self-Portrait In A Convex Mirror. Said roommate was an art major, and subscribed to Art News, where, I was tickled to discover, Ashbery contributed regular columns about painters he adored and pilloried with equal wit. I sort of forgot about Ashbery in the ensuing years, though I would be reminded of his very American brand of surrealism when my fealty for strange poets shifted to James Tate. For the past several years I have been listening with great interest, and with a growing sense of affinity, to the composer Michael Pisaro. My review of Pisaro's July Mountain, a composition that takes some of its inspiration from another famously difficult American poet, Wallace Stevens, attempted to bind together my impressions of that specific offering from Pisaro's sound world, Steven's perceptual leaps in his poem, and the dual reality we all sense shoots through all things- unity and fragmentation, the particulars and the whole. I am spending a good chunk of time listening to Pisaro's piece for percussion, a wave and waves, recently released on the Cathnor label. The piece is structured in two 35 minute sections, the first entitled the world is an integer, the second a haven of serenity and unreachable. These titles, and I think some of the animus for Pisaro's work, are derived from Ashbery's 21 page poem, A Wave. Published in 1985, when Ashbery was a couple of years older than this writer, the poem is a Moebius strip, like much of Ashbery's work, resisting the reader's gaining too much of a toe-hold or orientation, to say nothing of having a beginning or end. A Wave is a flood of stanza-upon-stanza of waves - waves of memory, encounters sweet and harrowing, of an aging man's acute sense of his essential apartness, and an indefatigable, recurring wave of belonging, of residency in a fallen world. The release of Pisaro's a wave and waves, aided by an email from the amazing percussionist Greg Stuart, heard here and on the aforementioned July Mountain, sent me back to Ashbery. I had asked Stuart what poet served as the muse for Pisaro's newest work, and he pointed me to an old companion. 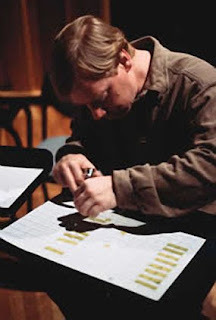 For me, Ashbery said in an interview with John Tranter, poetry is very much the time that it takes to unroll, the way music does. Michael Pisaro understands and grasps with an invisible hand the unrolling of time in his extraordinary music. I am especially grateful that meeting Pisaro has meant a reunion with an old, strange friend. 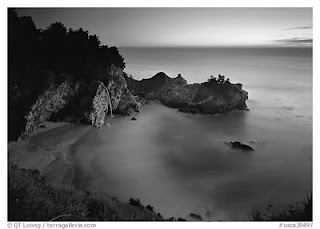 The photos are of Ashbery, Pisaro and Big Sur, the last another source of inspiration for a wave and waves. There are at least two meaning-altering typos in the quote from Ashbery's poem in the previous comment, so I respectfully refer interested parties to the original. in frequent should read infrequent. Once its damage is done. Like a stranger on a snowmobile ..."
But the original is without question worth the trouble to dig up.